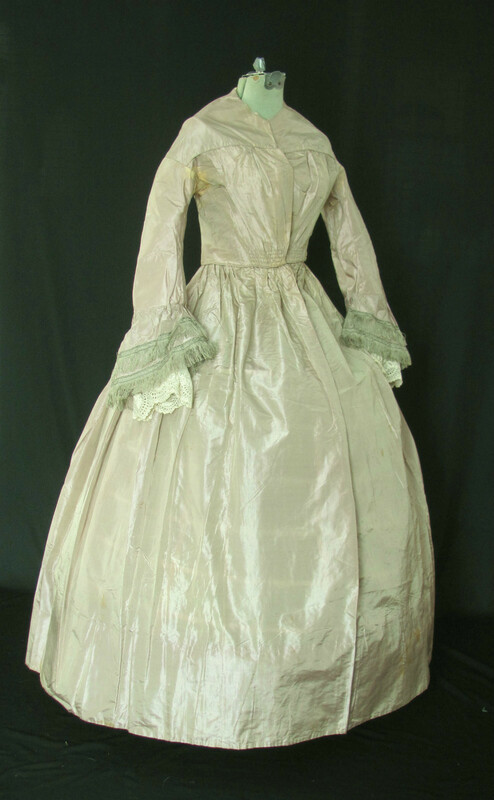 In this auction we are offering an attractive silk dress with pelerine dating from before the Civil War, c. 1840‘s/1850‘s. 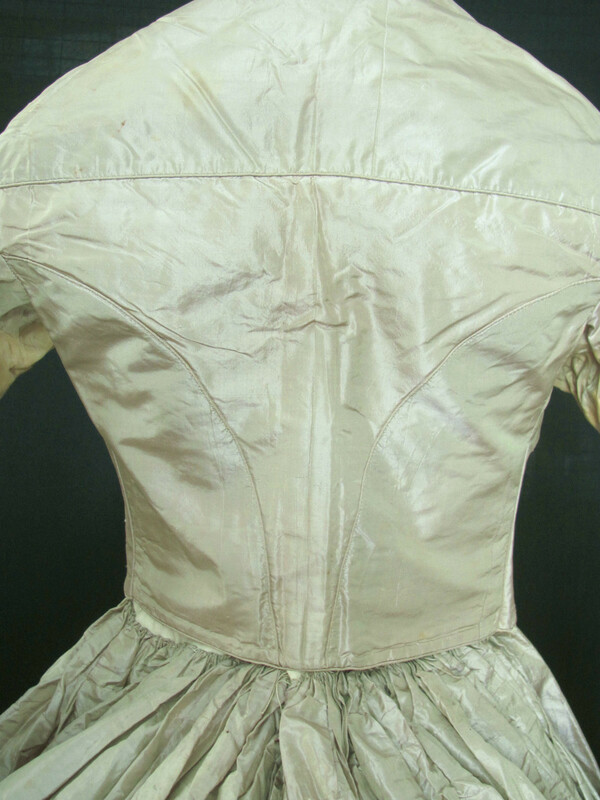 This garment is hand sewn from an opalescent greenish tan silk and is lined in the bodice with white polished cotton. Although we believe this was originally a one-piece dress it is now a separate bodice and skirt and was probably altered to be worn for a fashion show or “olden days” of some sort. The waistband on the skirt is an obvious replacement the cartridge pleating has been poorly redone. It would not be too difficult for someone with knowledge of period construction to return it to the original form. 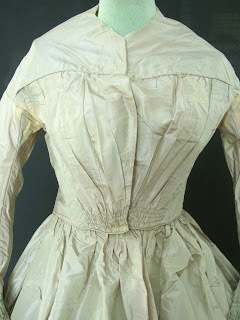 The piping at the neck is also missing but this area could be covered with a collar either original or reproduction for display. Otherwise, the bodice has not been modified and still retains the original form and l brass hooks and eyes for closure down the center front. The silk fabric of both pieces is still in nice solid condition. 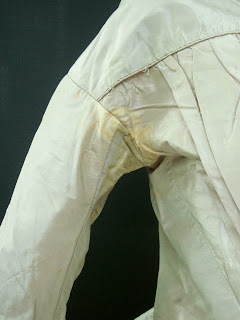 There are some yellow stains in the underarm area of the bodice which are by far the worst flaw, fortunately, when displayed with the pelerine they are not seen. 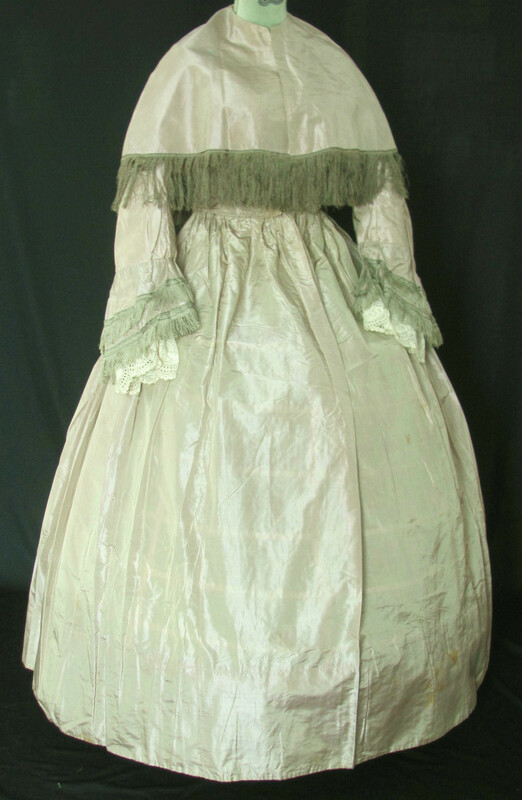 There are a few light stains and small insect holes in the skirt, nothing terrible. 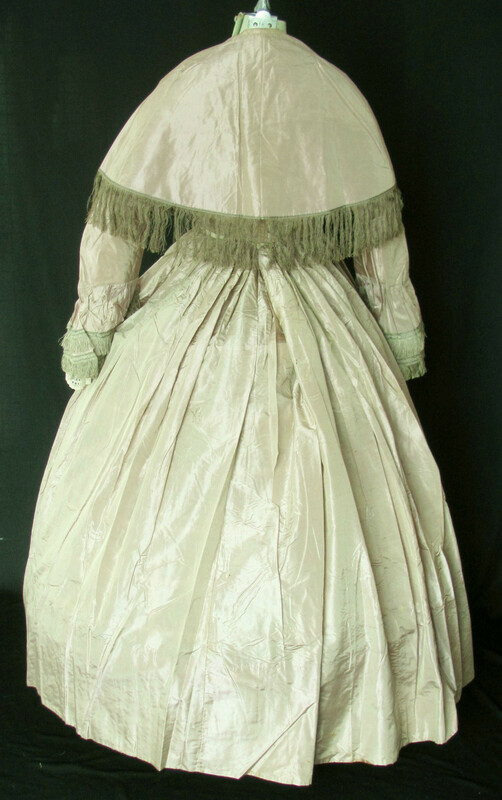 As previously mentioned, the matching pelerine remains with the dress and is in very good condition which is a nice bonus. Garments of this age are getting harder to find and with a little work this one could would make a lovely display. PLEASE NOTE: We do not endorse any attempt to wear antique clothing and therefore provide the measurements for reference purposes only, not for fit. 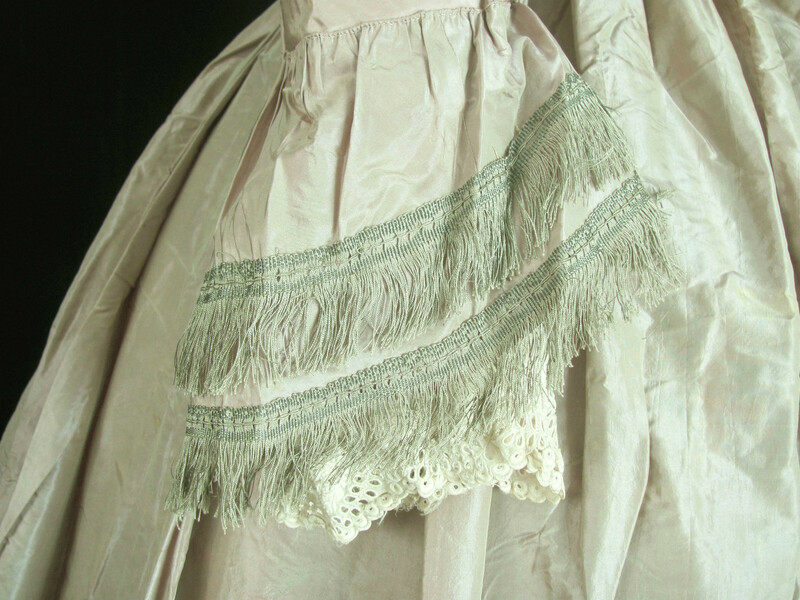 Measurements are taken in inches with the garment lying flat. 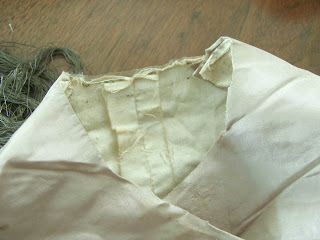 Bodice: Armpit to Armpit 15, Across Waist 12. Skirt: Length from Waist to Hem 45 and Hem Circumference of 128. This looks like it was an 1840's dress that was recut later on - probably 1850's.